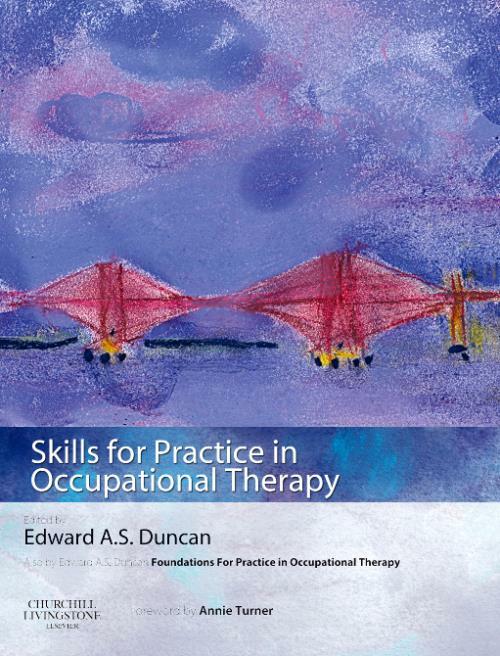 This book is the companion volume to Duncan: Foundations for Practice in Occupational Therapy 5e and provides a comprehensive guide to the practice applications of the theory base. It is designed to be a 'basic and beyond' text, of value to students throughout their studies but also a valuable reference text to clinicians. The sections cover the following essential skills for effective occupational therapy practice: clinical skills, management and leadership skills, evidence-based and research skills, and thinking, judgement and decision-making skills. List of contributors. Foreword. Preface. Acknowledgements. Chapter 1 - Introduction. Section 1: Thinking, judgement and decision skills for practice. Chapter 2 - Using theory in practice. Chapter 3 - Judgement and decision making in practice. Chapter 4 - Involvement and shared decision making in practice. Chapter 5 - Reflective practice: doing, being and becoming a reflective practitioner. Section 2: Professional skills for practice. Chapter 6 - Assessment skills for practice. Chapter 7 - Activity analysis. Chapter 8 - Goal setting in occupational therapy: a client-centered perspective. Chapter 9 - Therapeutic use of self: a model of the international relationship. Chapter 10 - Problem solving. Chapter 11 - Educational skills for practice. Chapter 12 - Group skills for practice in occupational therapy. Chapter 13 - Record and report writing. Section 3: Evidence-based and research skills for practice. Chapter 14 - Finding and appraising the evidence. Chapter 15 - Knowledge exchange. Chapter 16 - Clinical effectiveness skills in practice. Chapter 17 - Developing research in practice. Chapter 18 - Presentation and publication skills. Section 4: Leadership, supervision and management skills for practice. Chapter 19 - Management of self. Chapter 20 - Leadership skills. Chapter 21 - Practice education: skills for students and educators. Chapter 22 - Clinical supervision skills. Index.